Oakland Running up and down California from south to north and back and forth to do Q&A after trial screenings with the documentary, “The Organizer,” and coupling that with my new book, Nuts & Bolts: The ACORN Fundamentals of Organizing, I have been trying to determine how we might use the film as an organizing tool. Oakland was going to be the big test of whether this worked. Little Rock had been great, but we were the “home team” there. In California we would be the “away” team, a long way away, so how would it work. Francis Calpotura of TIGRA and In-Advance jumped at the opportunity to see if there was a way to use the film, the book, and even my being in town to bring all the pieces together, jump over some of the fences between organizations and organizers and promote community organizer training sessions being put together by In-Advance at the same time. It would be a leap, and Francis was game to make the jump without a net. Starting a couple of months ago, he and his team found an old funky theater everyone called the Parkside, but whose current name is the New Parkway in downtown Oakland. Then they began working their old networks from the Center for Third World Organizing (CTWO), the Applied Research Center (ARC) now called Race Forward, and Minority Action Program (MAP) graduates. They reached out to allies and friends, including the Alliance for California Community Empowerment (ACCE), the former California ACORN. I did my part as well. A good piece by Jay Youngdahl previewing the film and ACORN’s history came out in the East Bay Express. We were on new, unsettled ground. We were organizers. What did we know about film promotion. Every couple of weeks, I would reach out for Francis to see how it was going. Surprisingly, he was always upbeat. Half the tickets were sold two months ahead of time. Every week it seemed like we had a chance at filling up the 150 odd seats. Old timers, former interns and volunteers, funders, and friends were all responding. A radio network friend stepped up with an idea to do a small reception before the event. Comes the night of the screening, and the place is hopping. 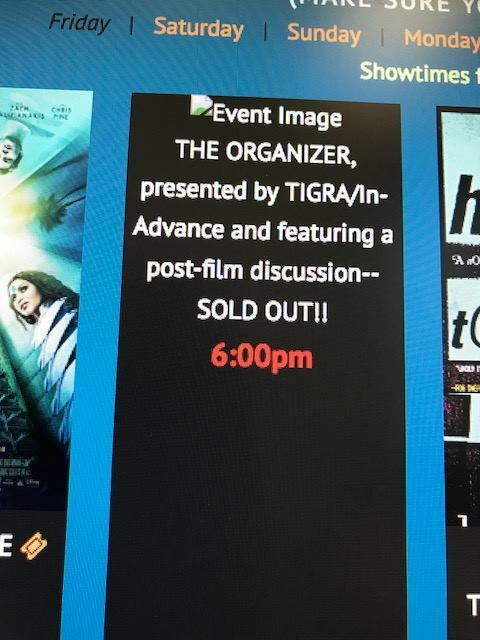 It’s sold out! 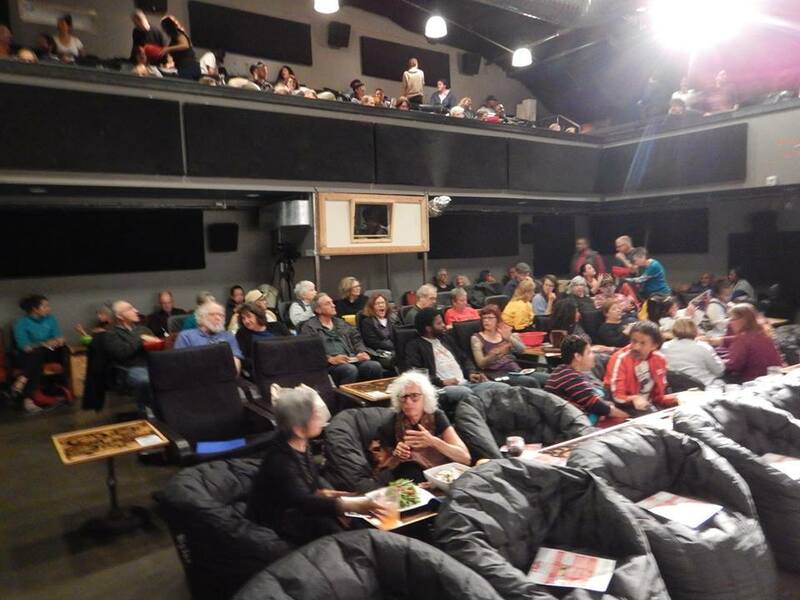 The theater hustles food to the audience, and they are beaming. People laugh, hoot, and applaud at the right times. The Q&A is serious business. People want to know more about organizing. They want to DO organizing. They want to know “lessons learned” and what I “would do differently this time.” Gary Delgado sits next to me and Brittany Carter fresh from training is the MC, and we’re taking all comers. Organizers from unions, research centers, housing agencies, tenant groups, and community organizations were all sitting together, talking with each other, and mingling on common ground around the film. Books flew off the shelves like hotcakes. New ACCE and old ACORN come together with stories of people, the past, and future that they share. People were signing up for training sessions with In-Advance. Wow! We may not know exactly what we are doing to make this film an organizing tool, but people are responding. They are hungry for a way to find common ground and make things happen. The film becomes an excuse to reach out, fill the void, and gird for the coming battles. There’s something to all of this, and we need to figure out a way to get the word out and pass it around. This entry was posted in ACORN, Organizing and tagged california, The Organizer by Wade. Bookmark the permalink.